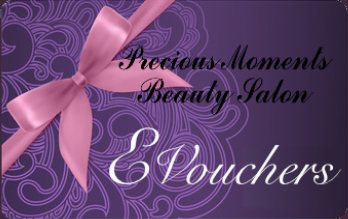 Massage Precious Moments Beauty Salon Coulsdon Surrey. Massages at our beauty salon in Coulsdon Surrey. Whether you are looking for therapeutic, pampering or relaxing massage in Coulsdon, we have an amazing mix of unique treatments available. We customise each massage treatment we offer a consultation to address your specific concerns. Our trained massage therapists will help choose your massage and treatment especially for you. Our treatment design incorporates the best techniques to suit your needs including Bamboo massages, sports massages, hot stones, Swedish and deep tissue massage. Massages are ideal to relieve tension, eliminate general fatigue and leave you with a sense of well being. This type of massage covers the main muscle groups from head to foot. This rejuvenating treatment fuses together nourishing oil application with deep therapeutic massage, using rhythmic pressure to help relieve soreness, back ache and tired muscles, leaving you feeling thoroughly pampered and relaxed. Feel the stresses and the strains of everyday living just fall away. Using bamboo to roll and knead the tissue creates an extreme sensation of relaxation and well-being. Bamboo massage is also used as powerful preventive therapy against modern-day stress and to aid relief from many physical and emotional problems. Exercise is good for us but it can also place stress and strain on muscles and tendons. A sports injury massage has a number of benefits including preventing injury, restoring mobility to injured muscle tissue, boosting performance, maintaining the body in overall better condition and extending the life of your athletic career. Stimulating yet calming treatment includes a deep scalp and neck massage. Benefits include reduced stress and tension, relieve tense muscles, eye strain, headaches, improves lymphatic/ blood circulation and helps relieve sinusitis. Not only is this mood lifting treatment but it is deeply relaxing leaving you feeling at peace.